1 Bedroom End of Terrace House For Sale in Sheffield for £80,000. Guide Price 80,000 - 90,000. 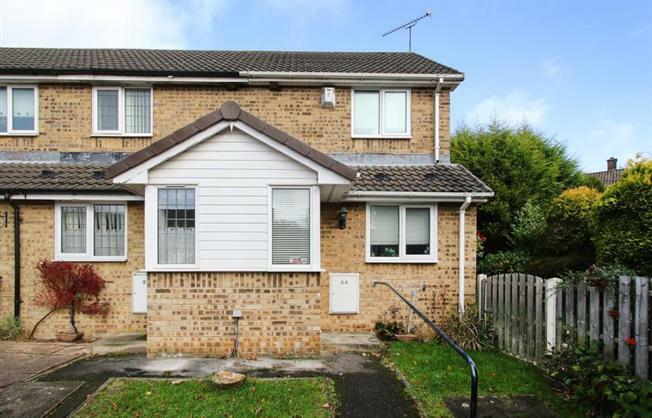 A fantastic opportunity has arisen to acquire this attractive one bedroom town house forming part of this lovely development on a level cul-de-sac within this popular and sought after leafy suburb. The property offers flexible accommodation having a main entrance hall, open plan living room, conservatory, fitted kitchen, double bedroom and bathroom w.c. driveway provides private parking and a lovely private lawn rear garden. The property is superbly located for access to by-pass with motorway links and St James Retail Park with a variety of shopping facilities. The newly redeveloped Graves Leisure Centre offers fantastic health & fitness facilities including swimming pool, tennis courts, gyms etc. Early viewings are strongly advised to fully appreciate the accommodation on offer.